Do you want to travel around the world? Most people would say yes but only a few would follow their heart and act on it. The most common excuse for not traveling is the lack of money. Well my friends, today I’m going to show you a few ways on how to make money online to fund your travels. Plus, if you believe in yourself that you can make money online, you can leave your day job (unless you love your job, that is) and work remotely – be a digital nomad. So without further ado, here are a few ways on how to make money online. The possibility is just endless! The word ‘online expert’ can be a bit daunting but if you know a few things, you’re good to go. If you’re great at drawing, taking photos, speaking English, doing DIY crafts or anything that you’re passionate about, use these and teach people a few tips and tricks. If you are a Filipino, you can also join the Online Filipino Freelancers group on Facebook and check out their job posts thread. Plus, you’ll learn a lot of tips when starting freelancing. I know I did and I even met a lot of awesome people who inspired me to keep going. If you’ve read my About Me page, you probably know that I’m a freelancer – a writer to be exact. When I was working my day job last 2017, I started doing part-time writing jobs online. When I was earning more with my part-time job, I decided to resign from my day job and work full time as a freelancer. One of the best things as a freelancer is that you get to work remotely. Wherever you are, as long as there’s WiFi, you can do your job, earn money and feed yourself. And if you have a flexible working time, you can travel any day and anywhere! Depending on where you live, you can rent out your space online at Airbnb. Here’s a detailed guide on how and where to start. 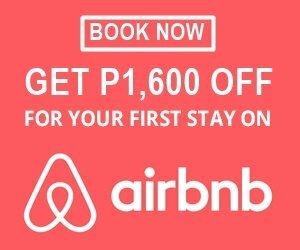 Sign up today and start hosting your very first Airbnb space. For business financing and loans for Airbnb hosts, lendelu.com has published an excellent blog on that topic. And that’s it for the different ways on how you can make money online to fund your travels. There are a whole lot more really. In this time and age, the internet provides hundreds of opportunities for you to chase your dreams and do something that you love. Life is too short to be spent on working in an office and doing a job you hate. Love the article? Read more travel tips, camping spots and stories here on wanderera.com. Like Wanderera on Facebook and follow on Instagram. Till the next blog post! Great content. Really loved all your tips and I think all your tips are very informative and real, honest tips that actually does work. I think one should start an online business as that will not just be one-time income. It’ll stay forever there as long as you want to and willing to keep it working. Thanks a lot for the tips, Johanes.